Sakai Guides and DocumentationSakai Complete User Guide GradebookHow do I set up a simple points-based Gradebook? 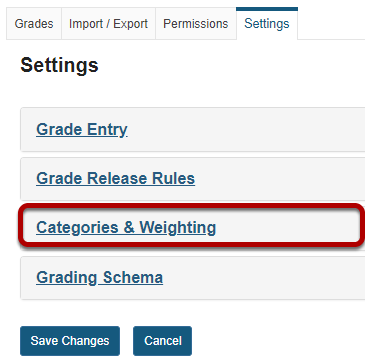 In this scenario, you are setting up a simple gradebook without any categories or weighting. It provides a straightforward calculation of total points earned in the course. 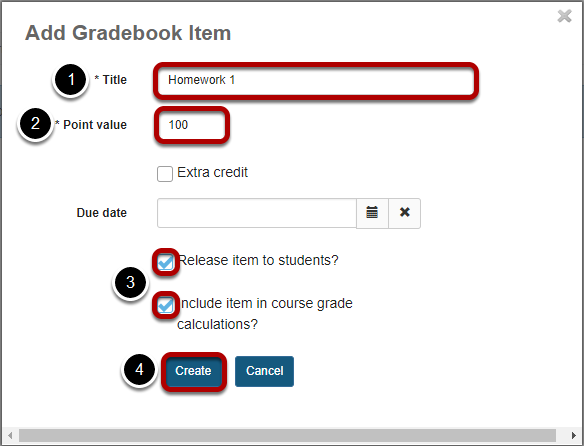 With this type of gradebook setup, you cannot use the Group by Category option to organize the visual layout of your gradebook items. You also cannot drop scores automatically. Select the No categories radio button and then click Save Changes. Zoom: Select the No categories radio button and then click Save Changes. 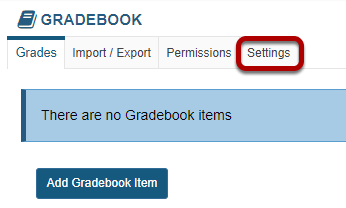 Click Add Gradebook Item to create items. Add the following gradebook items for this example: Homework 1, Homework 2, Homework 3, Homework 4, Project 1, Project 2, Project 3, Project 4, Midterm, and Final. The title for the first item is shown in the image above. The grade calculation is (89+94+78+82+83+88+95+91+90+95)/1000 points. 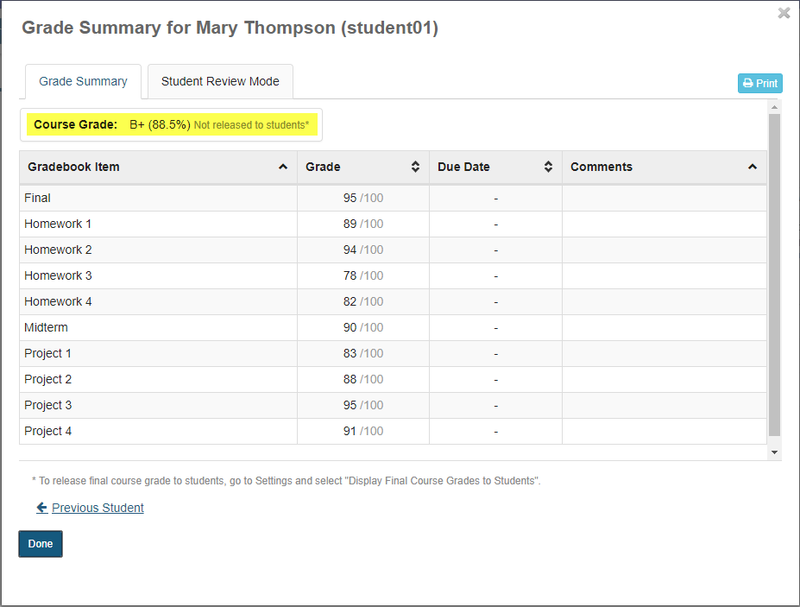 The student's overall grade average = 88.5%. Prev: What are the different gradebook scenarios and which one is right for me?